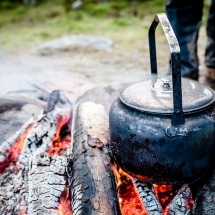 Enjoy an Autumn adventure in Swedish Lapland staying at the Treehotel, ICEHOTEL and Camp Ripan. 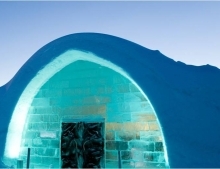 Enter the frozen heartland of Swedish Lapland and stay at the original ICEHOTEL - a fairy-tale ice palace built from scratch every winter. 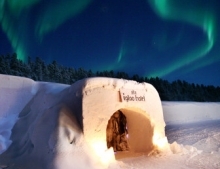 Look skywards for the Northern Lights and star in your own magical tale of adventure and enchantment. 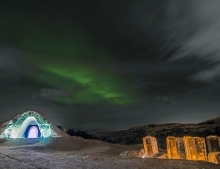 Enjoy your honeymoon or your romantic short break under the magical skies of the Northern Lights in a resort that will give you a true Arctic experience. 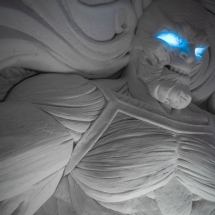 The Snow village offers a mix of heated and cold rooms each having an individual and authentic appeal. 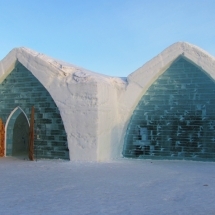 Stay at the friendly and enchanting Snow Hotel in Kirkenes, Norway. 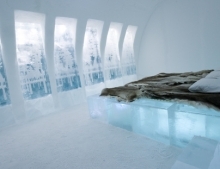 Search for the Aurora and sleep in a unique room made from snow.